The weddings season has started with bloomy striking fashion. This wedding season comes up with beautiful atmosphere and pleasant weather—the ideal time to wear fancy and elegant dresses. Girls can easily wear heavy embroidered dresses as well. South Asian bridal dresses can be easily recognized due to their unique look. Weddings play a significant role in South Asia and mark the beginning of a new life. Here in South Asia weddings are very colorful and ritual celebrations which continuous for many days. Everyone takes part in celebrations through different customs and values. People especially wear new and stylish dresses. 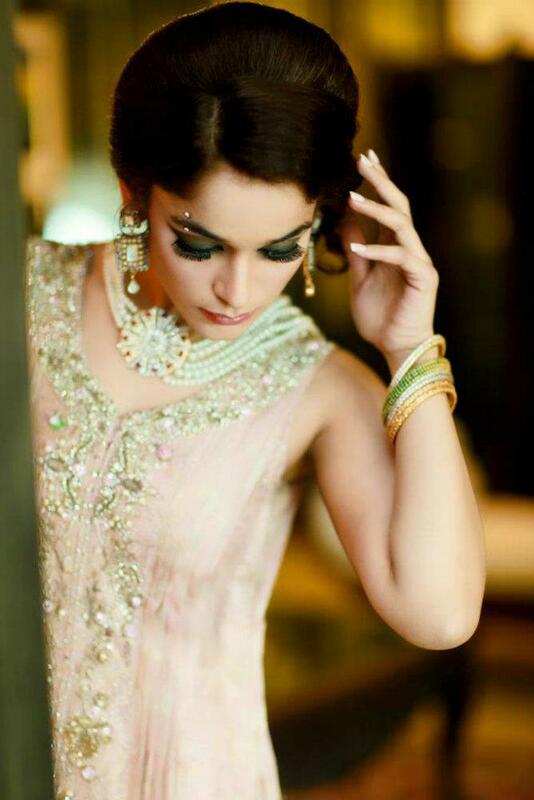 The most important thing in South Asian weddings are the bridal and groom dresses. 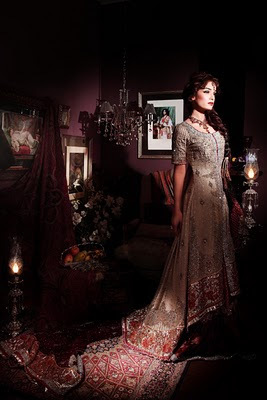 Today we are here to present some gorgeous and beautiful South Asian Bridal Dresses as the wedding season has started. As the girls are more focused and trend selective in fashion so we are here with highly decorative modernly designed bridal dresses which are being designed according to the latest trend. The dresses have a unique cultural look but being decorated with modern embroideredtechniques which gives a spectacular look to all these bridal dresses. Heavy embroidery with the use of expensive and rich Zari and motif work made all these bridal dresses for Parties more elegant and stylish. Let’s walk through the entire Bridal Party Wear collection to experience a beauty of South Asian Bridal dress designing culture. 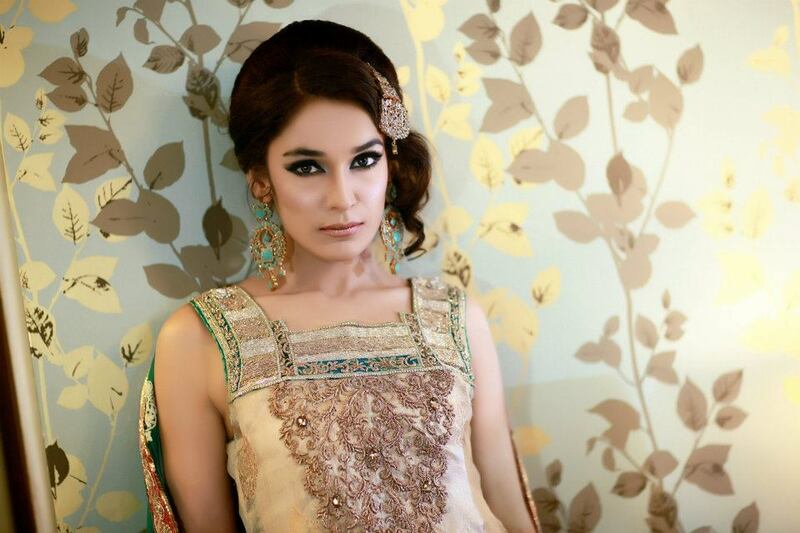 This beautiful bridal shalwar kameez is a master piece in its nature. 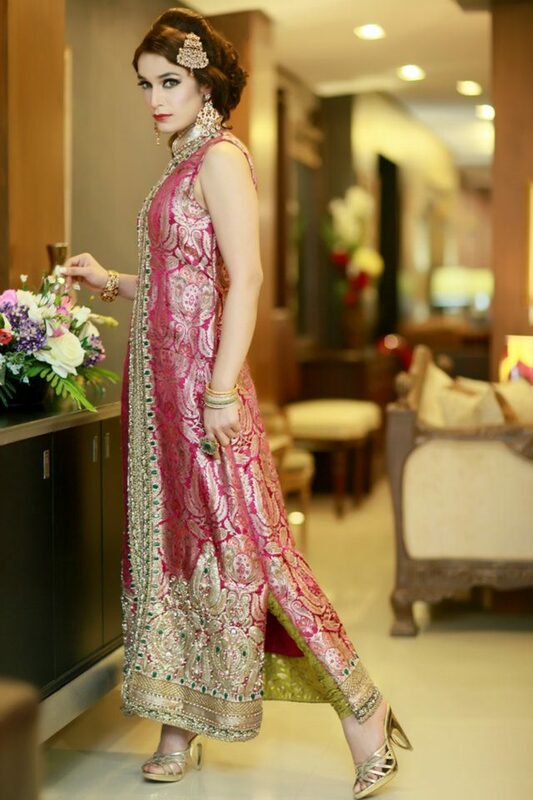 The light pink color silk with green ornaments work on it is looking marvellous. The pattern of kameez is according to the latest trend for Bridal Parties. Sleeveless pattern enhances the beauty and rituality of embroidery and ornaments work on bust and border of kameez. This is truly a master piece in this bridal dress collection of 2012-2013 for Parties. 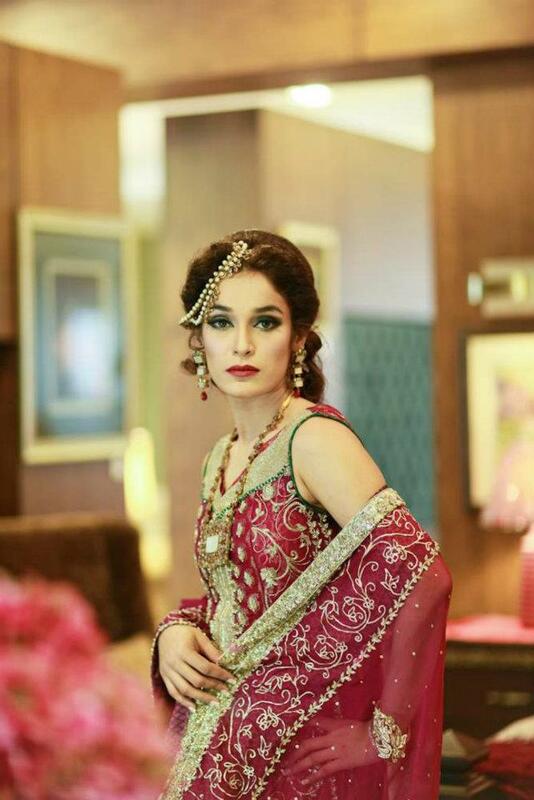 We cannot neglect the importance of red color in South Asian weddings. You will find the most of thing are in red color in celebrations and in events as well. The following bridal dresses are in red color scheme having different color embroidery and Zari work. The collection of red color bridal dresses consists of shalwar kameez dresses with different patterns. You will find the double open kurti with chooridar shalwar and long kurti with skin tight trouser as well. The use of golden color thread and zari work has beautified these bridal dresses. The embroidered design are so beautiful and being fetched nicely.